We all know that the only safe tan is a spray tan. 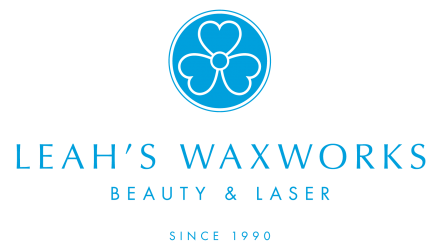 At Leah’s Waxworks, we deliver the most natural-looking, skin-softening tan that develops at the pace you choose and lasts up to a week or more. To create the perfect colour for you, we use a variety of formulas that develop to the most natural-looking, streak-free, long-lasting tan. All of our tans develop to natural-looking results, without a trace of Tandoori and certainly no orange pigment at all. This fast-developing formula has a brown-yellow base that is perfect for those with naturally olive or darker complexions. This develops over five hours and imparts an expensive-looking, European-type tan, as though you’ve just spent the summer in Ibiza. Best applied the evening before your big event, it is beautiful on all skin tones, but a one-coat application looks particularly lovely on those with paler skin. Develops more overnight. Another two-hour tan, this is perfect for very pale skins, as it imparts a beautiful glow that looks very natural and applies without streaking or going patchy. Tips to Ensure Your Tan Lasts! Exfoliate from top to toe 24hours before your tanning appointment. Follow with moisturiser. The smoother your skin, the better your tan. On the day of your tan, before your spray session, ensure your skin is clean and free from deodorant, moisturiser and perfume. Don’t shower until the tan developing time is up. Ask your therapist if it’s two hours or five. When you do shower, ensure your first shower just rinses the tan off. Don’t use soap or shampoo, which may affect the tan’s outcome. Wait until the next day to use them. Moisturise every day to ensure your tan lasts well into the week, without going dry or patchy. To ensure an even tan and streak free tan we can brush out any imperfections with our blending brush. Available for purchase at any salon.